Can you really offer Ashiatsu Massage to your mobile clients? Yes, with Portable Ashiatsu Bars you certainly can go mobile! How is that even logistically possible, you may wonder? Read on, and I will tell you the story of a therapist who did just that… Yes, it was ME! For the record, I’d like to mention that Mobile massage is mainly responsible for my success as a massage therapist. I kept it going for 15 years until I opened an office seven years ago. In fact, Barefoot Ashiatsu Massage and it’s benefits are a great passion of mine. Training others makes me feel like I’m imparting some ancient knowledge as it’s honestly a one-of-a-kind technique. But one that saved my hands and my career. So, how do you take Ashiatsu Massage Mobile? Nowadays, most people are familiar with the Ashiatsu set-up and its impressive overhead bars. But, as in-demand as the treatment was several years ago, it just didn’t make sense to lug around a cumbersome portable overhead system. The setup and disassembly, a task that takes some time, would not be worth the effort of bringing it back and forth. Not to mention the physical strain of having to carry the whole contraption upstairs. Yikes! Talk about exhausting! Get FREE E-Book while supplies last, “How to Go Mobile with Barefoot Massage”. As a new graduate of massage school, I was raring to go. At the time, there were only two or three hotels in the area that had spas. I submitted my applications along with my resume. And then I waited and waited… But, no one was calling me. There I was, a single mom with three mouths to feed. I didn’t have 3-5 years for word of mouth to spread. In any case, with no clients of my own, how would referrals even be possible? Zeel and Soothe didn’t exist yet. So, I put ads in the food section of the newspaper and then the Yellow Pages. Remember them? It was risky and expensive, but it paid off in the end. Finally, my phone was ringing. Soon enough, my schedule was booked. Of course, now that I had built up a clientele, the hotel spas were calling me. Go figure! Deciding I wanted to fill my schedule, even more, I took a part-time job with them as well. At that point, I was crazy busy! With an average of seven massages a day, it didn’t take me long to figure out my hands weren’t going to hold up under this intense workload. 3. The first mobile Ashiatsu Massage. Soon after that, I began my quest to find continuing education courses for massage therapists that would rectify my situation. That is when I discovered Ashiatsu Massage, and it became my very first barefoot modality. Later on, I added another barefoot technique: Fijian. But that’s another story entirely! Every spa client I worked on was positively amazed at how effective my new technique was. The long, gravity-assisted strokes felt like giant hands to the people on my table. Oddly enough, they would ask me if I was using my feet yet. They simply couldn’t tell the difference! Their reaction was inspiring. No longer did I resent deep tissue massage work. Instead, at the end of a long day when my last client was essentially a muscle-bound Arnold Schwarzenegger lookalike, I was able to give him just as much energy as any other client. When they said, “Give me all you got!” I was able to happily reply, “No problem!” Rather than feeling like my hands were exhausted and withered like old lettuce, I had the energy of a champion. 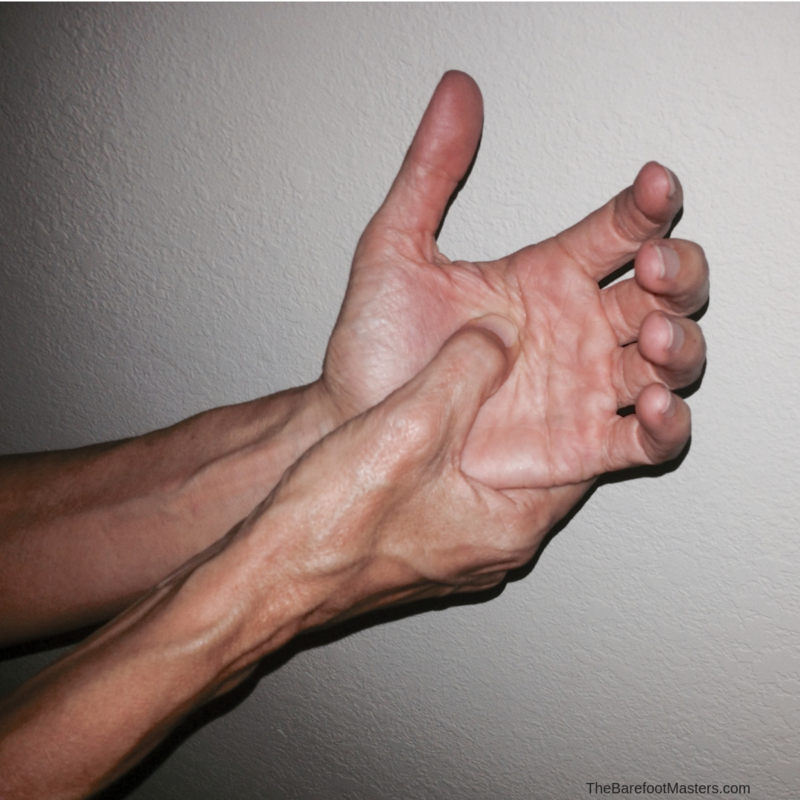 Suddenly, with the use of my new technique, Ashiatsu Massage, I was like, “Yeah, let’s do this!” No matter the day, no matter the client, I no longer felt guilty that I was out of gas or resentful the next day because my hands felt like someone had hit them with a hammer. Now, my last deep tissue was just as good as my first deep tissue of the day. At that point, the only problem was I couldn’t lug a portable set of overhead Ashiatsu bars to my clients. The truth was, it pained me that I couldn’t deliver my Ashiatsu magic to my mobile massage clients. I absolutely loved the modality, but the fact of the matter was, you needed a permanent office or a spa that offered the space for such a large setup. The resort where I worked part-time did have enough room to allow me to provide the service, but that wasn’t enough for me. Frustrated, I wanted to find a way to do Ashiatsu for my house-call clients. At one point, I found myself standing on a swiveling stool in the middle of a client’s living room, holding onto nothing but a couple of A/C vents. It was of course not the most ideal setup, to say the least. As I was desperately trying to perform the massage, I envisioned the following day’s headlines in the newspaper: Massage Therapist Breaks Neck During House Call! My one-person circus act wasn’t working. And besides, it was dangerous. There had to be a better way, I told myself. At the time, I was actually teaching barefoot massage. So, I decided to put my thinking cap on to develop Ashiatsu Floor Massage. Soon enough, I came up with a simple solution to my complicated problem. And, using a folding stool, I went mobile. Barefoot Massage was new to everyone, and the idea was catching on like wildfire. It was something completely different, something exotic, and it seemed like everyone wanted to experience a session. However, the technique was a latecomer for mobile therapists because of the issues it created for traveling. 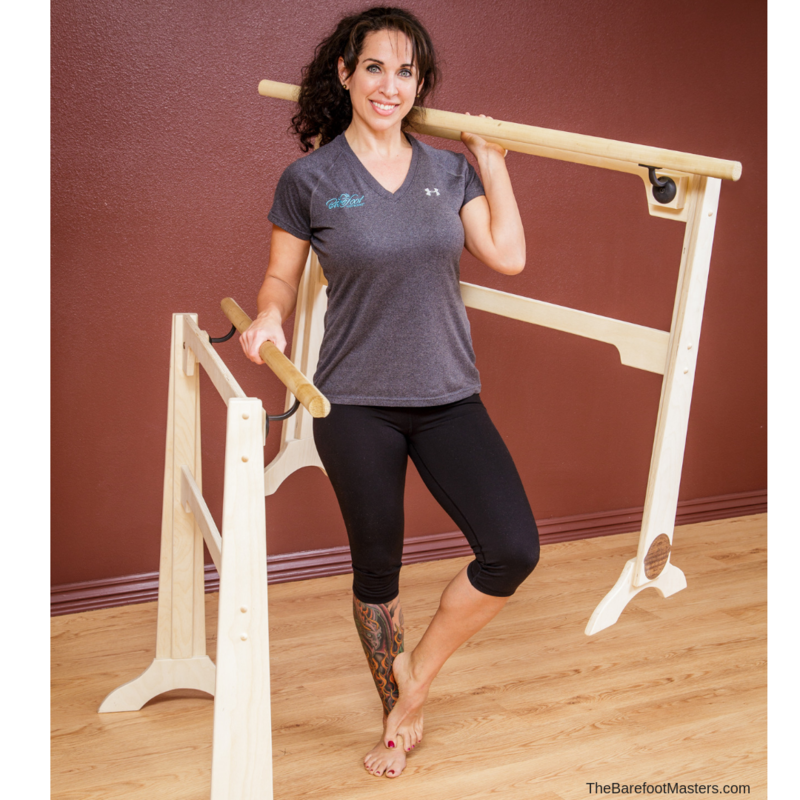 Eventually, one of my instructors designed a set of Portable Ashiatsu Floor Bars. They were beautifully crafted and weighed less than 15 lbs. a piece. Compared to an in-office setup, they were remarkably easy to carry. All the therapist has to do is load them into their vehicle, and off they go to bring the joy of Ashiatsu Massage to all their eager clients. Now, it just couldn’t be any simpler way. First, you will need Ashiatsu Massage training. Second, a good pedicure, which by the way is tax-deductible. Third, a mat, a face cradle, linens, Elixir of Life Deep-tissue cream, and antibacterial wipes for the body. Forth, a set of Portable Ashiatsu Bars. And lastly, a client. For a Free detailed Ebook click on “How to Go Mobile with Barefoot Massage”. Whether you are a newly licensed massage therapist or a seasoned one, it is never too late to change your therapeutic approach. Just because you’re well-known for one technique, doesn’t mean you can’t add more modalities to your toolbox. Luckily, with our live classes and online home study training courses, it’s never too late to change. Michelle Mace is CEO of The Barefoot Masters®. She develops continuing education programs and materials for massage therapist. With 9 different techniques and over a dozen hand-saving courses to choose from, there is no reason to keep doing massage the same way. We offer all of our courses via live classes or via online home study courses. All of the courses are NCBTMB approved.